My editor has determined that as I have now relocated – at least in terms of constituencies and Parliaments – that I should be charged with keeping Andytown News readers appraised of political and other developments in this part of our country. So, let me begin at the beginning and introduce you to my new Parliamentary home – Leinster House. As someone who has spent many years visiting various big houses during the negotiations around the peace process, it is obvious that the British aristocracy like their big houses. So too with some wannabe aristocrats from this island. Of course, these big houses were not confined to Britain. Some were built in Ireland, usually by absentee landlords who liked to occasionally visit their holdings in England’s first colony. Leinster House, which is the home of the Houses of the Oireachtas, is an example of one of these. I have been in Leinster House on many occasions over the years. Those visits were short affairs and usually for meetings with the Sinn Féin group. Occasionally we held publicity events, mainly connected to elections, outside the front gate. They have a rule in this place that only TDs can meet the press on the plinth – the little raised area – at the front of the main entrance. Although I breached that protocol the odd time most media events involving me were relegated to outside the front gate or across the street in Buswell’s Hotel. That is until I was elected as a TD for Louth and East Meath. Now I can cavort on the plinth to my heart’s content. Which doesn’t mean the media will pay us much heed. But that’s another story. There was also a time when Sinn Féin representatives were banned from here. Councillors John Joe McGirl and Eddie Fullerton were among the most famous of these. But that’s another story also. Eddie Fullerton and John Joe McGirl each outside Leinster House after they were refused entry despite being elected Councillors and being there on Council business. Anyway like many a first time TD, I arrived in Leinster House in early March as ‘Deputy Adams’ – a title I am bemused by. I keep thinking of that cowboy suit I got for Christmas when I was wee and the sheriffs badge that accompanied it. Or I think of Martin McGuiness who persists on calling me his deputy. He is trying to get his own back on Ian Paisley. 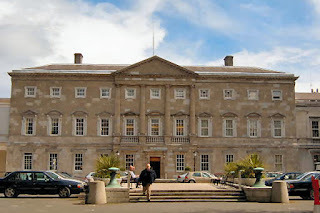 Leinster House is a Georgian mansion – a ‘ducal palace’ whatever that is. It was built by James Fitzgerald, the Earl of Kildare, between 1745 and 1747. With great originality he named it after himself. Kildare House. And when he became the Duke of Leinster in 1776 he imaginatively renamed it again - after himself. Leinster House. It is claimed that the design of the building influenced James Hoban who designed the White House in Washington. 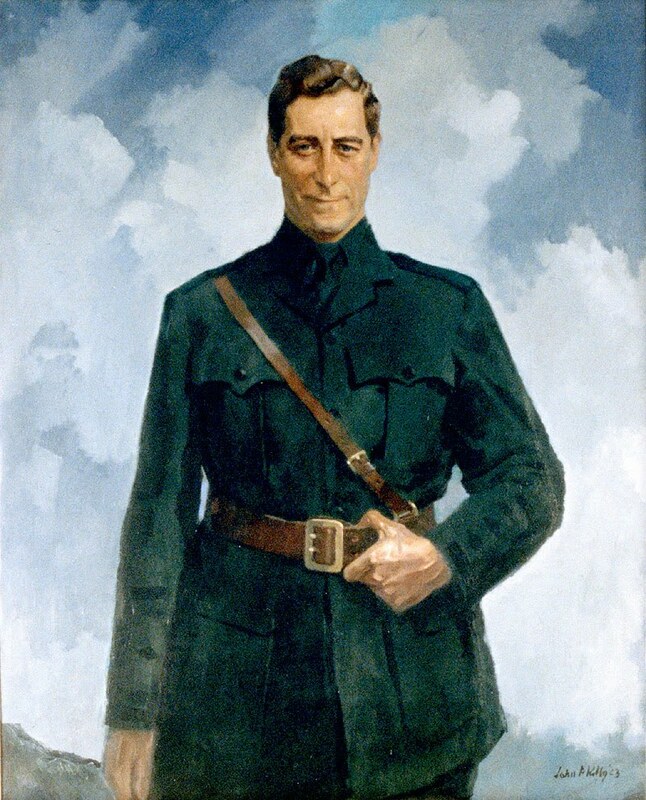 And one famous, occasional resident, Lord Edward Fitzgerald was a leading figure in the United Ireland movement in the 1790’s and was subsequently killed during the 1798 rebellion. Today it is difficult to walk through the place without some portrait or sculpture or other piece of memorabilia reminding you of the colonial occupation of Ireland by Britain, and of Ireland’s long struggle for freedom. When you enter through the main door into the large lobby large portraits of Michael Collins and Austin Stack look down – some might say appropriately - from opposite sides of the room. Across the lobby is a framed copy of the 1916 Proclamation. And along a corridor toward the stairs leading to the Dáil chamber is a striking portrait of an earlier Sinn Fein TD Austin Stack. At the bottom of the same stairs is a framed photograph of the First Dáil which met in the Mansion House on January 21st 1919. The chamber has busts of the 1916 leaders and other national figures. Most of the ushers have Irish and they converse easily in the first language with the likes of me and other Gaels. The pond out the back of the building (or is it the front?) has a resident flock of wild ducks. Last week as I left here very late – about 10.30 – I spied a fox sauntering across the car park. Even though we are in the city centre with lots of traffic and people about the place he slipped through the railing and dandered across the main road into Merrion Park. At least one fox from here who escaped the tribunals. Incidentally on our first night here me and your man were almost locked in. Many new TDs have yet to get offices or Personal Assistants or Political Advisers. That’s down to the huge turnover as the people had their say at the ballot box. Anyway me and your man were working away in some one else’s office and when we came out the place was in darkness. Lucky enough we caught the security guy just as he locked the last door. But our car was locked in. Ah well that’s life. By the way they call this institution Dáil Éireann. Our Sinn Féin team are forever telling them that that’s work in progress. And good work it is too. Ducal Palace, that salted my interest as well. Seem Ducal Palace is the like, or relating to a duke or dukedom this house belonging to or suitable for a duke. "ducal palace" of or pertaining to a duke, a duchess, or the duchy or dukedom they hold. So the house is good enough for a Duke to live in, or respected statesman and unrepentant Irishmen as be. I'm sure there be more than one stray Fox working about the Dáil Éireann. Hooray for "Deputy Adams"! lol! I cracked up laughing when I saw your Christmas cowboy picture in "Before the Dawn," because it looks exactly like those in photo albums all over the U.S. There's almost always a Christmas tree in the background, with a boy (or girl) standing front and center, grinning from ear to ear posing in a cowboy costume! Hang around that place long enough, and maybe they'll elect you Sheriff!